Calls for proper compensation plan to be put in place for women's football in Scotland. Developing women footballers in Scotland needs to become more financially viable, the game's executive officer has warned. Fiona McIntyre said clubs will continue to lose their best players if a plan to compensate them isn't put in place. Unlike in the men's game, women's clubs in Scotland who develop players through their academies do not receive compensation when a player moves before their 23rd birthday. She was speaking at the launch of the new Scottish Women's Premier League season - and just months before Scotland take part in the World Cup for the first time. McIntyre said: "It's not sustainable, the clubs have now got to be pretty clever in their recruitment, and they are almost recognising early they will lose their best players. "As an organisation we rely heavily on our commercial sponsors in terms of investment. "For our clubs there is an issue around the lack of compensation being paid that have invested in and developed young players." 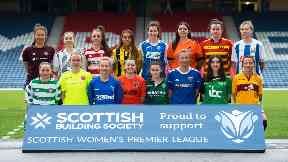 Scottish players to have moved south without clubs being automatically compensated include Lizzie Arnot and Kirsty Smith, who joined Manchester United from Hibs. McIntyre said: "Any team losing their best player is going to suffer in terms of quality. "Usually you are compensated financially which allows you to invest back into your playing squad. "That doesn't happen in the women's game, which is something that would be game-changer here in Scotland because it would encourage more investment from our top clubs. "Financially there is not the incentive for clubs here to develop the players because they are not getting a return on their investment. "But some of the clubs recognise there is a wider obligation not just to the women's game but to society to have strong women's set up." Football's governing body FIFA has a system in place for the men's game. It states: "Training compensation shall be paid to a player's training club(s): (1) when a player signs his first contract as a professional, and (2) each time a professional is transferred until the end of the season of his 23rd birthday. "The obligation to pay training compensation arises whether the transfer takes place during or at the end of the player's contract." But it adds: "The principles of training compensation shall not apply to women's football." When clubs cannot agree how much compensation is due, a SPFL compensation tribunal can intervene, such as when Lewis Ferguson left Hamilton to join Aberdeen after signing a pre-contract. Here the tribunal ordered the Dons to pay a sum, understood to be around £250,000, to Hamilton reflecting the player's training and development at Accies.